Last summer, Amazon Prime announced plans to adapt Robert Kirkman’s Invincible comic as an animated series. Now, the streaming service has finally put a voice cast together. The Hollywood Reporter brings word that Steven Yuen, Mark Hamill, and Sandra Oh have been tapped to lead the upcoming series, which is scheduled to premiere in 2020. Yuen will headline the show as the titular superhero, a.k.a. Mark Grayson. In the comic book series, Mark is the son of Omni-Man, the most powerful superhero on Earth. Mark starts developing his own set of superpowers at the age of 17. Unfortunately, Mark’s father is also a member of the Viltrumites, an alien race bent on conquering planets for their Empire. J.K. Simmons is voicing Omni-Man on the series. Other cast members include Mark Hamill, Gillian Jacobs, Andrew Rannells, Zazie Beets, Walton Goggins, Jason Mantzoukas, Mae Whitman, Chris Diamantopoulos, Melise, Kevin Michael Richardson, Grey Griffin, Max Burkholder, and Seth Rogen. However, their roles were specified in the announcement. Rogen and Evan Goldberg will still co-write and co-direct the live-action Invincible movie, if it goes forward. Kirkman and artist Cory Walker created in Invincible in 2002. The series concluded last February after publishing 144 issues through Kirkman’s Skybound imprint of Image Comics. Kirkman is executive producing the Amazon venture alongside showrunner Simon Racioppa, David Alpert, and Catherine Winder. Ultimate Spider-Man vets Justin and Chris Copeland are locked in as supervising directors. 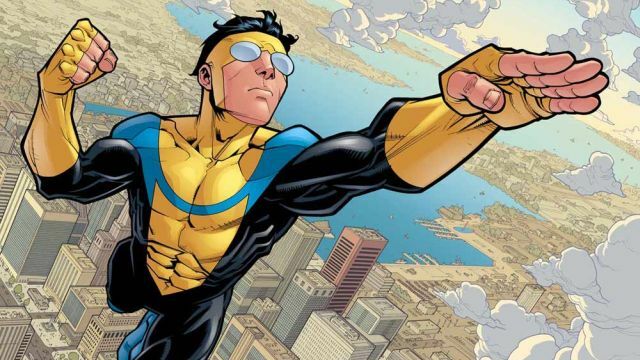 How do you think the voice cast for Amazon’s Invincible series is shaping up? Do you have any theories about who the actors are playing? Give us your impressions in the comment section below!